We’d love your help. Let us know what’s wrong with this preview of The Winds of Time by Rich DiSilvio. The Winds of Time is a historical tour de force of Western Civilization by Rich DiSilvio. With masterful style, DiSilvio paints a fascinating historical canvas with the flare of a consummate artist. Key figures and the primary cultures that literally shaped the Western world are candidly analyzed, revealing both the dark and luminous sides of mankind, while also debunking t The Winds of Time is a historical tour de force of Western Civilization by Rich DiSilvio. With masterful style, DiSilvio paints a fascinating historical canvas with the flare of a consummate artist. Key figures and the primary cultures that literally shaped the Western world are candidly analyzed, revealing both the dark and luminous sides of mankind, while also debunking the fallacies and myths. As the author says, "The Winds of Time can sometimes be like turpentine, it may be harsh, but it seeks to reveal the truth by washing away the many layers of distortions by countless scribes, propagandists, and revisionists who have done well in colorizing history." DiSilvio sagaciously dissects the lives, achievements, and blunders of Caesar, Augustus, Jesus, Iranaeus, Constantine, Dante, Da Vinci, Queen Elizabeth, the Founding Fathers, Darwin, Tesla, Hitler, FDR, Einstein, Reagan and many more with striking results. To ask other readers questions about The Winds of Time, please sign up. Rich DiSilvio, The Winds of Time: An Analytical Study of the Titans Who Shaped Western Civilization New York: DV Books. 2009. ix + 731 pp. Western Civilization is so immense a topic that it is often too daunting for most readers who do not possess a passion for history. With his work, The Winds of Time, author Rich DiSilvio offers an analytical study of the history of western civilization which is sure to capture the interest of all Americans, regardless of their appreciation level for history. 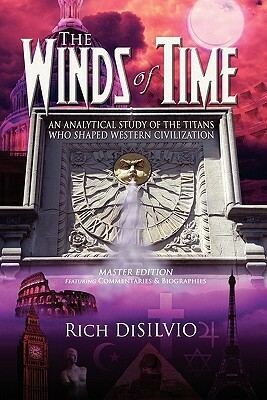 Rich DiSilvio, The Winds of Time: An Analytical Study of the Titans Who Shaped Western Civilization New York: DV Books. 2009. ix + 731 pp. Western Civilization is so immense a topic that it is often too daunting for most readers who do not possess a passion for history. With his work, The Winds of Time, author Rich DiSilvio offers an analytical study of the history of western civilization which is sure to capture the interest of all Americans, regardless of their appreciation level for history. Written from a new American perspective, The Winds of Time plunges a sword into the heart of political correctness with its tiptoeing around truths for fear of offending. DiSilvio offers no apologies for having written his work for Americans and in the hopes that Americans can learn from the lessons of history and avoid the pitfalls of the past. The book is a collection of informal commentaries and informative biographies that bring history alive for the reader. DiSilvio's easy writing style gives the reader a feeling that they are conversing directly with the author. That is not to say that DiSilvio's interpretations of historical events and figures will find unanimous agreement among all his readers, but his conclusions have been arrived at in an analytical and logical manner, through intense research worthy of any academic historian. The Winds of Time offers a thought provoking look at history bringing enlightenment on commonly held beliefs that deserve a fresher look. 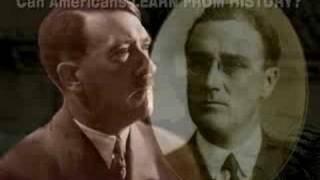 The influence of the Roman Republic, which was not lost to the American founding fathers who borrowed liberally from it while forming the new Republic, is one such example. Many Americans today believe they live in a democracy and credit ancient Athens for its influence, even while pledging allegiance "to the Republic for which it stands". Author Rich DiSilvio offers many such eye-opening tidbits which are guaranteed to give readers a new perspective on some of the many topics discussed in this enjoyable and informative work. Rich DiSilvio has drawn on over one hundred sources, which are listed in the book's bibliography, in tackling this immense subject matter and his book also contains sixty five photos and illustrations for the readers enjoyment. DiSilvio is successful in achieving his goal of writing to appeal to a broader audience beyond the academic historian and arm chair history buff. He writes for Americans with the hope of sparking in them a keener awareness of their nation's origins, current status, and an awareness of the lessons history can offer to help guide America's future. I highly recommend this book which should be a part of every American's personal library. Recommends it for: to any American serious about our country. Well researched, great analysis and very engaging. Disilvio draws lessons from history with the intent of aiding Americans in gaining clarity and wisdom, and he certainly achieves that goal. As other reviewers on Amazon & elsewhere have noted, 'The Winds of Time' is "a must-read!" Very well researched, thorough but very overwhelming. It took me quite a long time to get it read as I could only absorb a fraction at at time. Well worth it if you are interested in history! This book is very informative, well-researched and comprehensive in discussing various historical figures that have influenced Western civilization. It was at times a tedious read though.